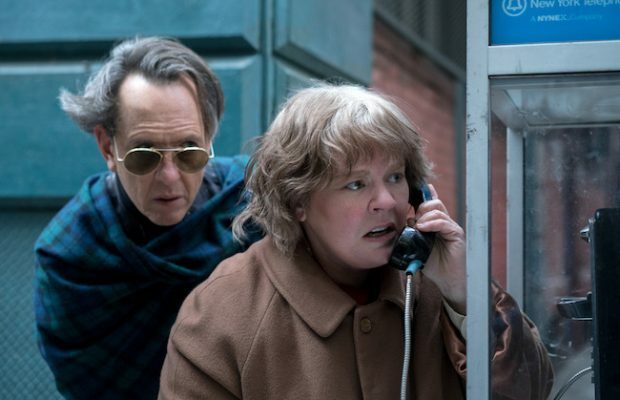 Melissa McCarthy was in New York last week promoting her new movie, Can You Ever Forgive Me?, Marielle Heller’s first feature since 2015’s Sundance hit Diary of a Teenage Girl. 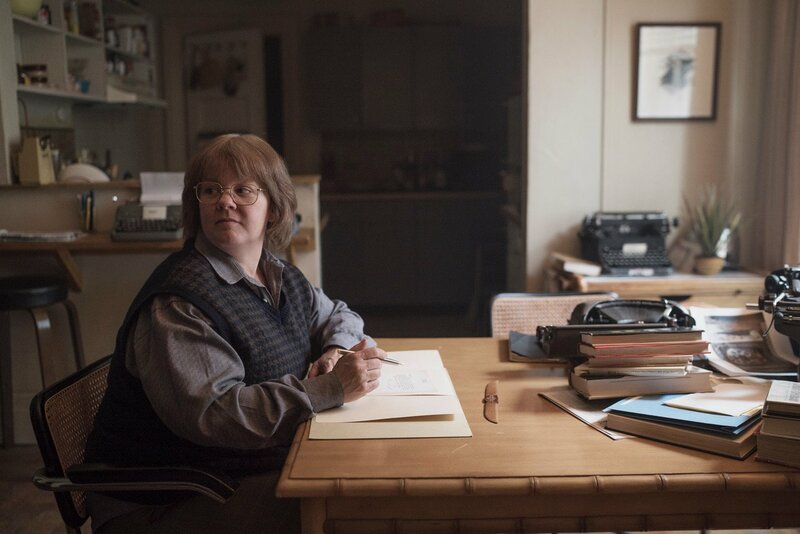 Based on celebrity biographer Lee Israel’s memoir of the same name, Can You Ever Forgive Me? follows Israel’s turn as a forger of dead writers’ letters when her own writing career tanked. The film recreates, lovingly and accurately, the world of ’90s New York—full of dusty bookstores and smoky saloons. Dowdy, cranky, usually half-soused and a complete misanthrope, Israel, who died in 2014, was a literary fixture on the Upper West Side where she lived. But as portrayed by McCarthy, in her most dramatic role to date, Israel is alternately endearing, witty and someone for whom audiences will feel great empathy. Paula Schwartz, MovieMaker Magazine (PS): Is Lee Israel the character most unlike you in real life you’ve ever played? Melissa McCarthy (MM): Energy-wise and social-wise, Lee’s very different from me. But I also think Michelle Darnell’s (The Boss) harshness was also so abrupt and a different energy. It’s fist forward for her, and I see similarities between them of: shove first before you’re shoved. But certainly the inward quality of Lee was fascinating to play. Instead of always verbally responding, Lee would probably just sit and watch and wait, probably hopefully for the person to leave. But just to wait someone out… I thought so many times about how I would love to have just heard her roll out a fictional story. It would have been so funny, and [had] a bite to it, for sure. I run a parallel to Lee in that I love what I do, because I do it via someone else. Maybe it’s the coward’s way. I don’t want to play a person that’s similar to myself. I don’t know how to do it. I don’t feel like I have the skills to, in a scene, figure out what I would do. MM: How did you feel once you adopted her appearance, the dowdy clothes and grey wig? And how did you come up with the look for Israel? MM: There’s a lot of trial and error that went into that. I have a feeling on the inside of what it should be, but I don’t know what that is. It stays very murky. And we just keep trying things. It really is like one thing will click in, and then everything else seems wrong. And then two things click in, and the first one’s wrong. It’s almost like Tetris. One of my favorite things was when things didn’t fit right. I told them to leave it. It shouldn’t fit—it’s 15 years old. She’s probably not the exact same shape, size, from age, from whatever it is. I did love that. Because you don’t get that in a movie very often, where you let the bad fit ride. It always helps me, because then when it all clicks in, I feel like, now I know the gait. Because all that stuff, I just kept thinking of it as her armor. So once it finally hit… It was like a cashmere and tweed armor. But once it got on, I felt the weight of her. And things were heavy, and we had things of a certain weight on me at all times. She literally feels weighted. MM: Did you know anything about Lee before you got involved in the movie? And what was it about her life that attracted you to the story? MM: I didn’t know her story, and it bothered me that I didn’t. It’s a fascinating story, because it’s not the area you’d expect a crime to happen. You don’t expect that type of person to end up with the FBI. She’s not smuggling drugs—these are literary forgeries. It is a crime—she’s grifting people for sure. I love how she did not require anyone to tell her what she was. We’re in a current state where people really need to have other people validate who they are. They need the reflection of others to see themselves. I don’t think like that, and I love that Lee didn’t need it. She was going to be who she was going to be, even when it made it much more difficult for herself. I find that a really attractive quality. Even when it’s slightly unpleasant, I still admire it. 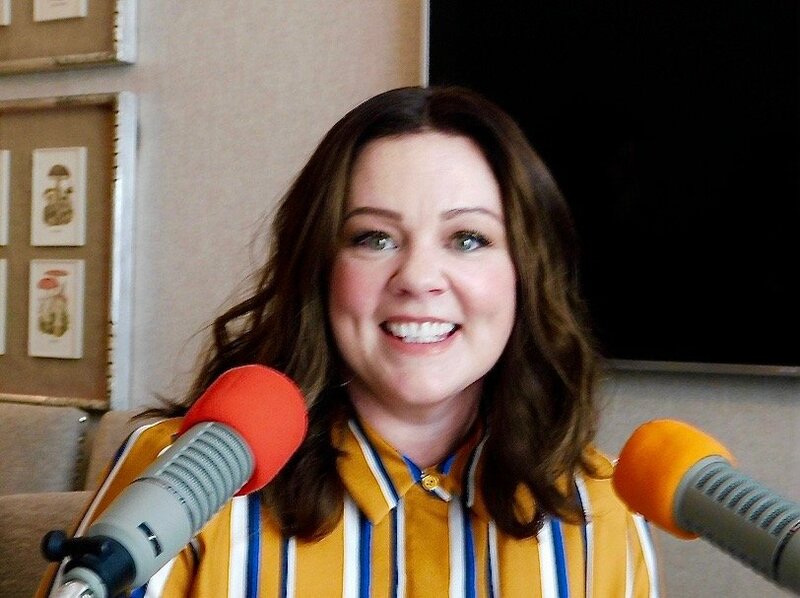 Melissa McCarthy in New York for the Can You Ever Forgive Me? press junket. Photograph by Hosoki Nobuhiro. MM: As an actor, I was wondering how you viewed Lee’s story regarding talent, and maybe the limitations of talent, versus the business side of her profession, which she was woefully bad at? MM: Lee was an incredible writer. It was the only thing she did and her writing was still good, but suddenly she’s told that she’s no longer valid, that she’ve come to a certain age and become obsolete. She wasn’t adaptable—she had no flexibility to go out and get a different job. That was not going to happen. I kept thinking, what would any of us do, if you’ve lost your only means to survive? She was on welfare at one point and was going to lose her apartment—she was going to be homeless. It’s not like she had a bunch of friends that were going to take her in. What would any of us do? And the thought that, at a certain age, instead of people being revered for their 30 years of experience, now it’s like, “What about that 20-year-old that’s more fun at the party?” Certainly it doesn’t make them a better writer or artist, or whatever profession you may be. 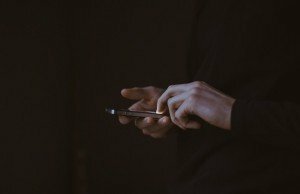 It’s a strange thing that the more experienced has become outdated. I find that very odd. MM: What did you discover about that period of New York in the 1990’s? The movie is especially good at showing the bleakness of New York in that time. Can You Ever Forgive Me? opened in theaters October 19, 2018, courtesy of Fox Searchlight Pictures. All images courtesy of Fox Searchlight Pictures.